It's a good idea to include a safety feature in each issue of your company's employee newsletter. This is an effective way to push out safety messages to employees on a regular basis, rotating through different safety-related topics that are particularly relevant to your workplace. These topics can also be used to inspire ideas for safety posters, as discussion prompts for meetings, and for training purposes. All work environments are different and each will have differing safety procedures and requirements. Choose the topics that apply to your workplace and then dig deeper to come up with a variety of sub-topics, tips, and ideas for your company specifically. Personal protective equipment (PPE) requirements - If your workplace requires protective equipment, make sure employees are up to date on when it's required, how to use it, and how to recognize when equipment needs replacing. Safe driving tips - Help your employees stay accident free with regular tips on safe driving. Hot weather safety - Discuss protective clothing, use of sunscreen, how to keep hydrated, how to recognize signs of heat stroke, and other topics related to staying safe in the heat. Cold weather safety - Working in the cold presents a different set of potential problems. Tips could include how to dress for the weather, recognizing the signs of frostbite and hypothermia, and safe work practices for these situations. Weather emergency safety - Ensure that your employees know the standards and procedures for dealing with extreme weather situations such as thunderstorms, tornadoes, freezing rain, floods, snow storms, and any other risk common to your location. Emergency preparedness - Emergencies can take many forms. Go over each employee's responsibilities during a crisis, discuss rules and procedures, and come up with scenarios that staff can provide potential tips for. Evacuation procedures - Make sure that all staff knows the routes for safe evacuation, as well as procedures for employees who need assistance, who is responsible for clients who may be on site, and any other situations that are particular to your workplace. Emergency notification procedures - Ensure that all employees are aware of the company's emergency notification procedures. Run through some scenarios to give examples on how these should work. Vehicle maintenance tips - Maintaining a company vehicle, whether it's a car or machinery, is important for safety. Give tips for regularly checking all vehicles and explain what to do when maintenance it needed. Hand washing guidelines - Proper hand washing can prevent the spread of germs throughout the office. Discuss when and how employees should wash their hands. Safety procedures refresher - Go over all procedures that employees should already be familiar with, but present them in a new way so that staff is more likely to read them. Safe hand tool operation tips - Offer tips that cover the safe operation and storage of all hand tools used in your business, including safety equipment that must be worn. Proper chair, desk and office equipment positioning - This topic, including ergonomics, is important for injury and accident prevention, not only for employees as they work, but also as they move throughout the office space. Tips for minimizing repetitive stress injuries - Explain how these injuries happen and offer lots of suggestions for avoiding them. Tips to minimize trip and fall risks - Cover the obvious hazards such as electrical cords and personal belongings as well as tips for comfortable and practical footwear, and how to report a potential risk. Chemical safety tips - Even if your company doesn't use chemicals for manufacturing or production, there are other chemicals in the workplace that can be discussed. Consider everything from cleaning products to printer ink. Safe work habits - This is a very broad topic that can be customized to your office or workplace. What unique safety tips do your employees need to know that might not have been applicable at previous jobs? Office safety tips - These can also be particular to your office. Consider addressing safe procedures for everything from refilling the water cooler to ensuring that filing cabinets are filled from the bottom up to reduce the risk of them tipping over. Common sense safety tips - You probably think that there are certain safety issues and tips that your employees will assume based on their common sense. While you may be right, it's always a good idea to cover the obvious points anyway and ask for input on how to improve workplace safety. Job site safety - Include tips for inspecting a new job site before work begins, as well as your company's policies and procedures for safety on job sites. Plant/warehouse safety - Address safety issues and policies for both workers and visitors at your plant or warehouse. Protocol for reporting safety concerns - Ensure that all employees know how to report potential safety risks in the workplace, and who to report them to. Guidelines for safe lifting - Back injuries are common when lifting heavy objects. Whether you're discussing employees who lift as part of their jobs or those who may only lift things occasionally over the course of their workdays, the guidelines for safe lifting are the same. General back safety - In addition to lifting, back injuries can be caused by sitting too long or in the wrong type of chair, repetitive motion, driving or operating machinery for long periods of time, and several other causes. 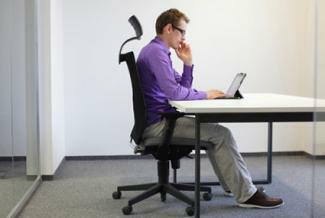 Discuss back safety risks that apply to your workplace and offer tips for how to avoid injuries. Electrical safety - This is especially important if your staff regularly works with electrical equipment, but can also include things like how to determine if a cord needs replacing or safe use of power bars and extension cords. Equipment operation safety guidelines - Address the procedures, rules, and guidelines for all the equipment used in your workplace, large and small. Lockout/tag out guidelines - Lock and tag out procedures will not apply to all businesses or industries, but if they apply to yours then it's a good idea to go over these guidelines often. Substance abuse policy reminder - Make sure that your staff is aware of your policies regarding substance abuse, including what substances are included. 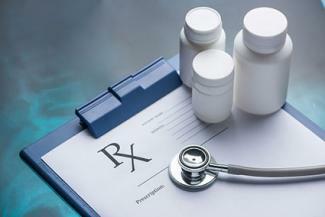 Information on reporting prescription medications that could impair safe performance - Many employees will only require prescription medications occasionally, so it's helpful to remind them of these practices every so often. What to do in the event of a workplace injury - Include basic first aid advice as well as who to report the injury to and when to call 911. After-hours contact information for the safety director - This information should be posted in an easy-to-access location, but it's a great addition to your newsletters as well. Contact numbers for local law enforcement and the fire department - Everyone knows to call 911 in an emergency, but direct lines to the police and fire department are also helpful when the situation isn't an immediate issue. Safety training requirements - These should be updated and refreshed any time new standards are in place or new equipment is added to the workplace. 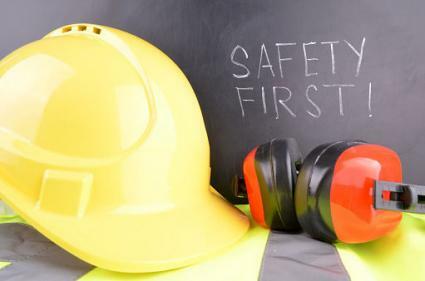 Make sure that employees are up to date on safety training and know who to approach if they need further instruction. Housekeeping and clean-up requirements - A clean workplace is important for the health of your employees. Provide a list of basic requirements that each staff member should be aware of. Ladder/climbing safety - While most of your employees won't be using ladders or climbing every day, it's important to know how to do this safely. Place instructions on a wall near where the ladder is stored and include tips during a meeting. Fire prevention tips - Discuss things that your employees can do to help prevent fires, including electrical fires. Hearing protection tips - If your workplace or job sites put employees at risk for damage to their hearing, ensure that they all know the policies and procedures for protective equipment and noise reduction. Eye safety tips - Make note of all the situations and tasks that require eye protection and specify what types of eye gear are available for use. Safety policy reminders - Go over basic safety policies and procedures on a regular basis, so that employees keep these guidelines in mind. Workplace violence policy reminders - Staff should know what to do and who to turn to when violence occurs in the workplace. This is another topic that would benefit from coming up with a variety of scenarios and discussing how they should be handled. The best safety tips are the ones most relevant to your place of business. Select topics that you really want to emphasize with your employees because they are particularly relevant to your organization and to the needs of your team members. Then, present them in a variety of ways to help the information sink in.